Victory At Sea Pacific is a naval combat game that will take us back to World War II, where strategy and simulation are mixed, as we will have the option of switching between a global view in which we can manage and direct all the units, or zoom in and take control of ships and planes. 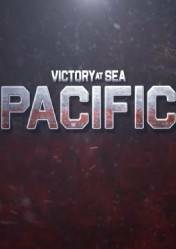 Victory At Sea Pacific brings an epic approach and provides a new experience in real-time strategy games. A game that takes place in an open world as a sandbox. We will travel the seas in search of enemy fleets of ships and submarines to strangle enemy supply lines. We will have to conquer enemy positions and launch large-scale amphibious attacks by sea and air against the targets. Carry out coastal invasions using a large number of ships, from landing craft of various types, to planes and powerful ships to bomb enemy positions. For all this deployment, we will have available more than 100 classes of ships and aircraft, with unlimited strategic options and a large number of missions and objectives of all kinds. Enjoy a perfect mix of strategy and simulation with a very high level of detail and a superb graphic and sound section. Don't forget that to activate the Victory At Sea Pacific key you need to have an account on the Steam gaming platform, as it will be necessary to download and install the game. There are no comments yet about Victory At Sea Pacific. You can be the first one! Victory At Sea Pacific Gameplay - Smash Look!